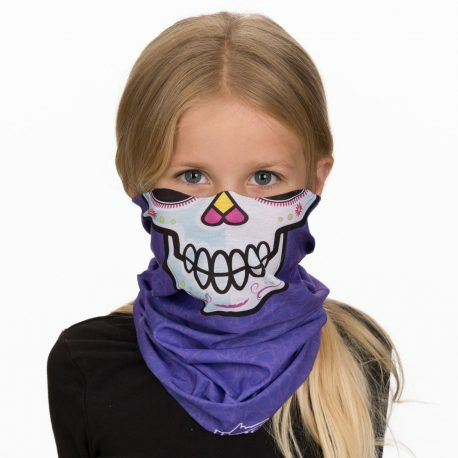 Your adventure buddy can look super cute, or super scary in this mini version of our full-size Sugar Mama face mask. 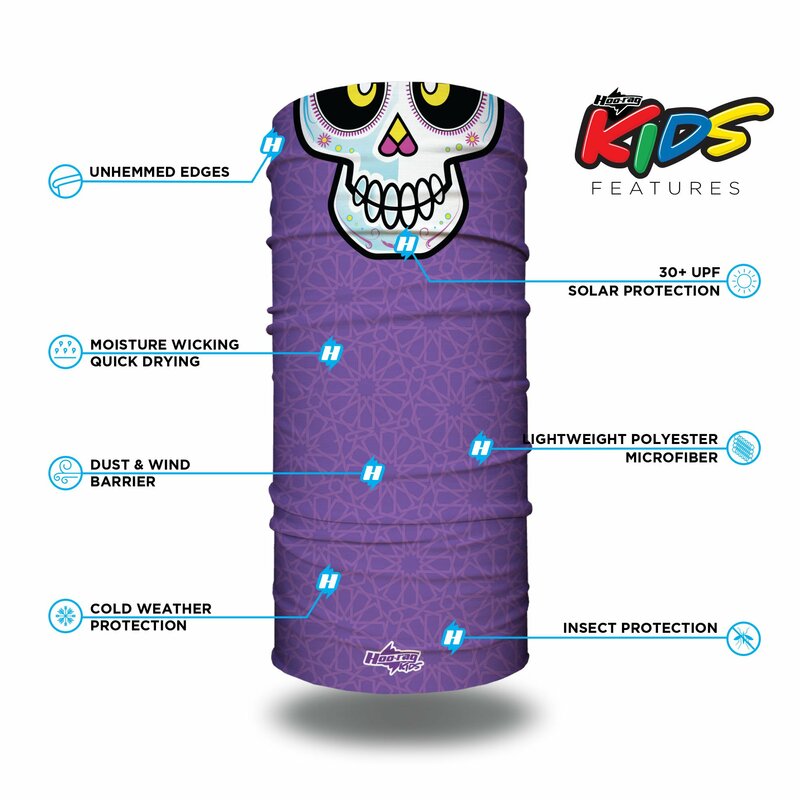 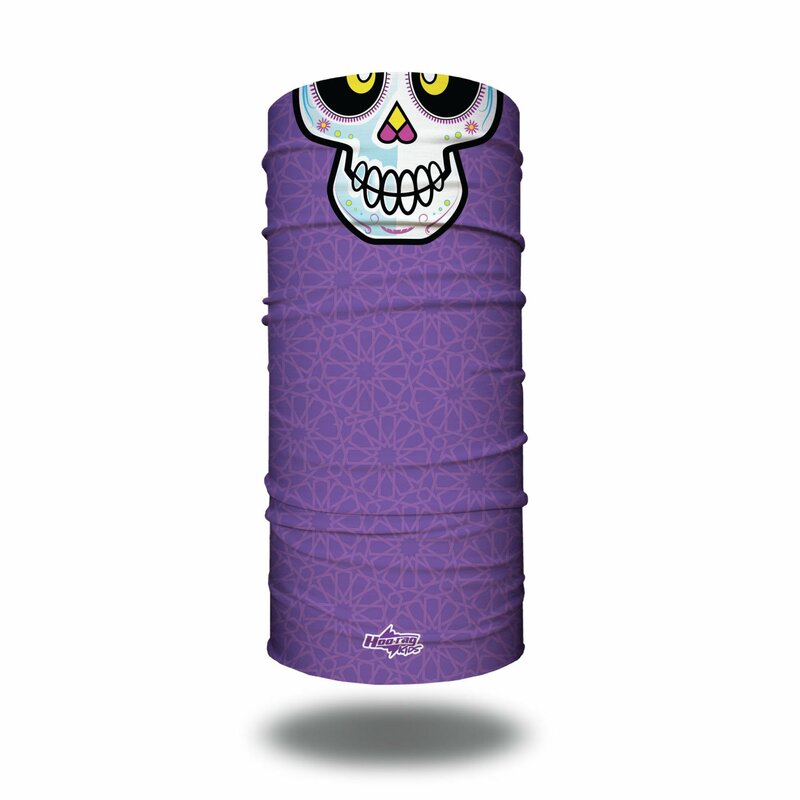 The hand-drawn sugar skull rests upon a light purple patterned background. Grab one of each and have some sweet sweet fun with your best friend!